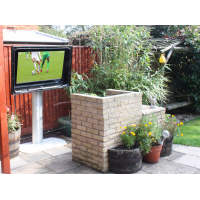 The outdoor TV cabinet is the ideal solution to your digital signage needs. The TV cabinet protects your television or digital display and eliminates the need for a dedicated outdoor digital screen. 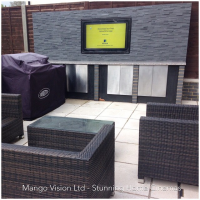 The outdoor TV cabinet provides you with the following benefits. Versatile – Perfect for any industry. Increased longevity – Protects the equipment for 10 years or more and reduces overheads. 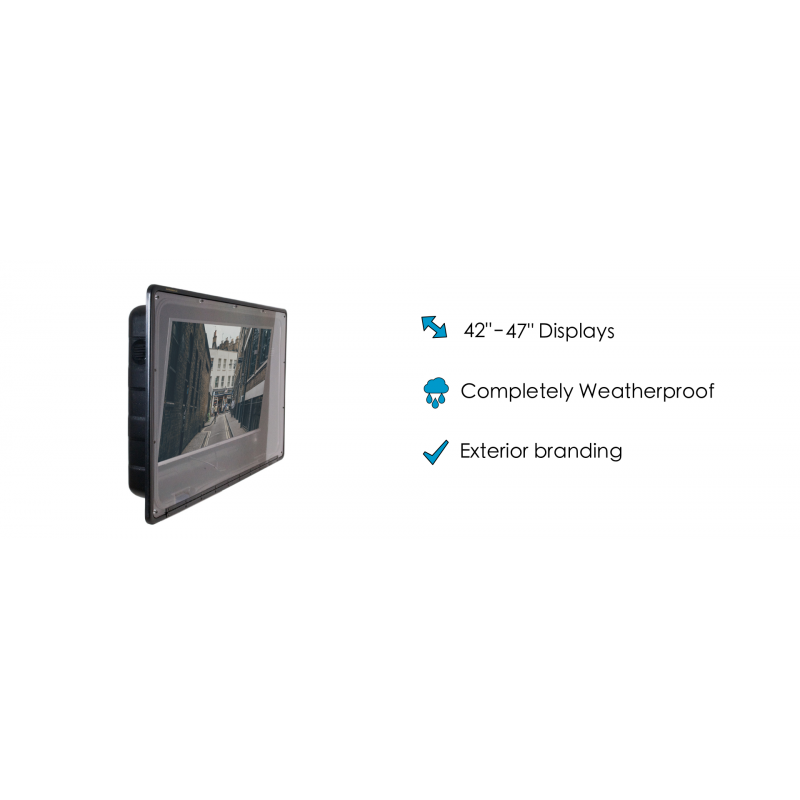 Warranty – Protects the warranty on your screen(s). 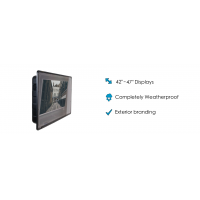 Available in three size formats – The TV cabinet can accommodate all main screens up to 42”, 42” – 55” and 55” – 72”. 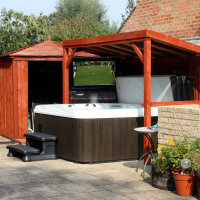 Protection – The TV enclosure provides protection from the weather, theft, vandalism and impacts. 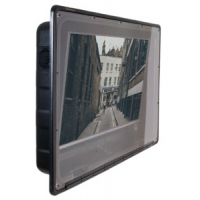 Clear viewing – The cabinet uses a 6 mm polycarbonate screen. A one-time investment – The outdoor cabinet is a long-term investment with a high ROI. 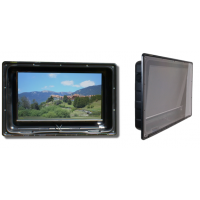 The TV cabinet reduces costs and has low maintenance requirements. The outdoor TV cabinet gives you all the benefits of a dedicated outdoor screen for a fraction of the price. For more information, get in touch with us now. We will be pleased to offer you a complete solution.